Open the door to the new possibilities of keyless entry with the TurboLock door lock. Increase the security of your home or office property with our durable weather-proofed, stainless steel design which is perfect for both inner and outer doors! With the Turbolock, you never have to worry about where you left your key or making copies for friends and family, anymore. 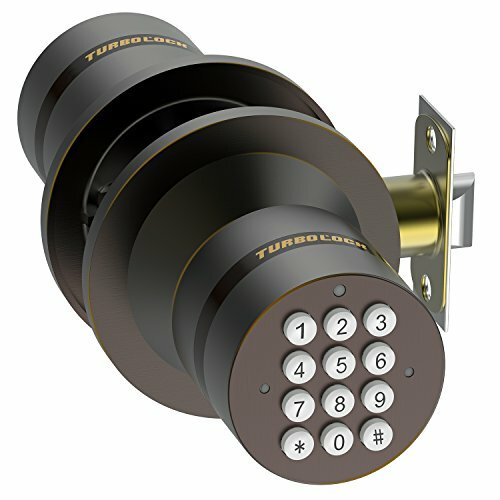 With the TurboLock code door lock, you can program up to 10 passcodes including 1 master code, 1 standard entry code, and up to 8 personalized user keycodes. The Turbolock can also have multiple uses throughout the office. Whether you need a strong durable lock to protect your inventory, or a protective lock for your front entrance, the Turbolock's versatility and strength make it a perfect fit wherever it's placed. Installation is easy! 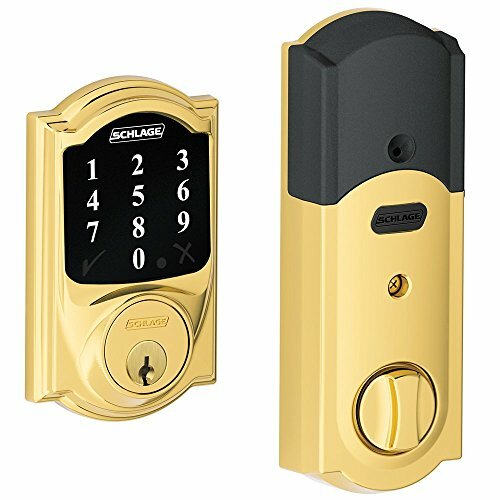 This smart lock requires no professional installation or specialized tools, and installs within minutes using a standard screwdriver. The TurboLock wireless door lock is powered by 4 AAA batteries that can last for up to 12 months. Worried about your TurboLock running out power? Don't be. In the event that your batteries are running low, the Turbolock door lock system comes with a battery backup pack that plugs into a specially designed port at the bottom of the knob. 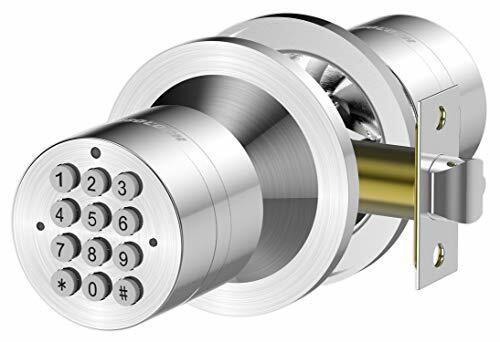 The Turbolock electronic lock is designed with your security in mind. You'll never have to wonder if you locked the door again! The Turbolock keyless entry door locks automatically lock behind you after 3 seconds. We've even taken your security to the next level with a special password disguising feature to keep your pin-codes safe from wandering eyes! Simply enter the first digit of the code, then you may enter any amount of random digits before completing the code. 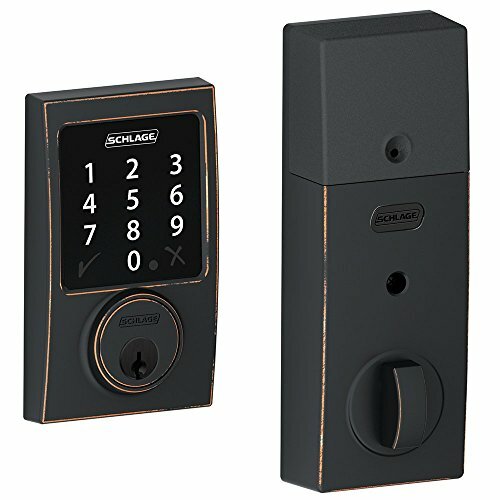 Experience the convenience and added security of our keypad door lock and order your TurboLock today! YEAR-ROUND DURABILITY - No smart lock is completely water-proof. But our keyless entry lock is constructed from weather-ready stainless steel, rated IP65 dust- and water-resistant to better withstand the elements. Emergency key use: remove the keypad handle with a wrench. Insert the mechanical key. Turn the key clockwise until the door lock opens. (The key is for emergency use and the high torque is normal when it opens. 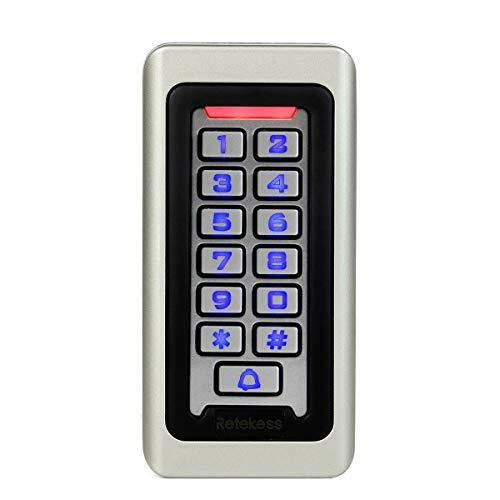 Touchscreen Keypad with blue backlight:Touchscreen Keypad has good performance that it avoids the problems caused by unstuck physical buttons; The blue backlight enable you to enter passwords more convenient even in darkness. Hidden keyhole for emergency: No need to call firemen. Remove the keypad handle with a wrench. Insert the mechanical key. Turn the key clockwise and the electronic door lock opens. Anti-peep password: Users can create any random digits in front of or behind the correct password (random digits +correct digits+ random digits) so that you do not have to worry about being watched nearby when you input the password. 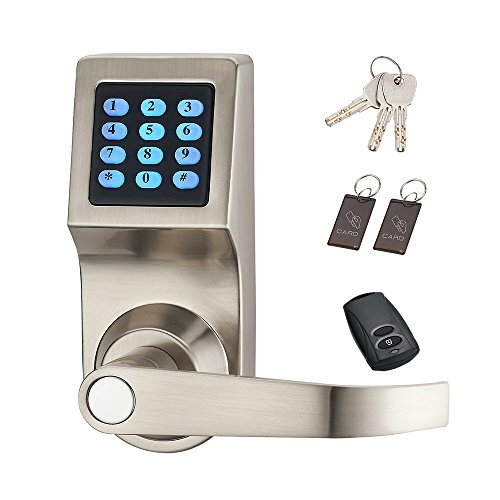 Interchangeable door handle and Fashion appearance : Comes with the changeable door handle that the door lock can be used on left and right; The door lock is apply to be used in all kinds of the doors with upscale appearance. Easy installation: Comes a hexagon screwdriver, just follow the user guide to finish the assembling even you are not a professional. 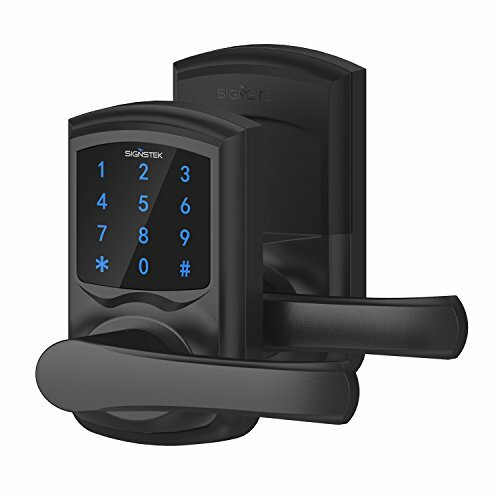 Intruduction: This digital lock is the perfect lock for residential or commercial units that need access for multiple people. Function: It has 4 unlock options: Remote Control, M1 card, Pass code or Mechanical Key. 1020 Total Possible Users and Quickly Add or Delete User Pass Code, M1 Card or Remote individually. 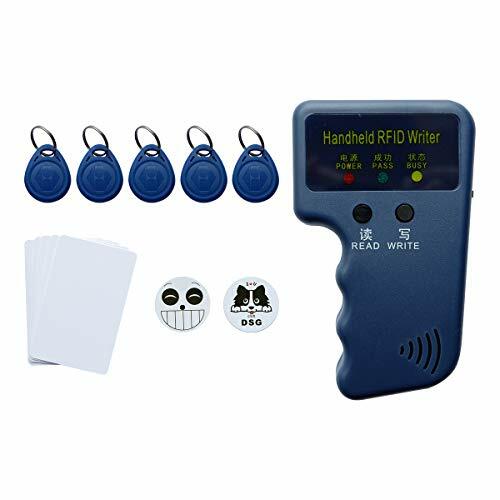 Brand: HAIFUAN | Manufacturer: Shenzhen Goodum Electronic Co., Ltd.
* Please notice that our RFID cards cannot be compatible with some encrypted readers, for example, the reader of following brands: HID, Cobra, APC K etc,but not limited to these brands. 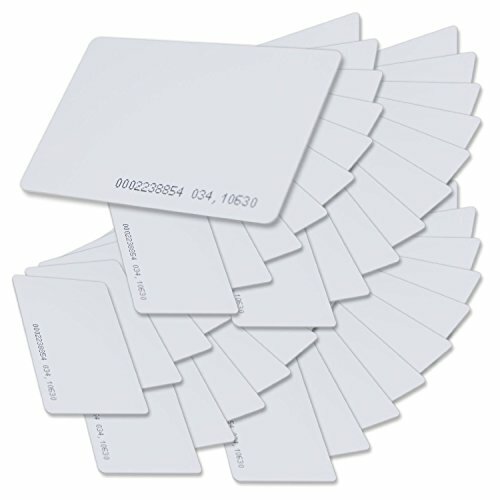 * Please consult your technician to ensure your reader will support normal (non-encrypted) standard 125KHz RFID cards. * Please feel free to contact us if you have any questions during your usage. We will try our best to offer you a satisfied solution(including return or replacement). Cards are not compatible with UHF and / or encrypted readers like: HID, Cobra, APCiK, Paradox, Radio, Honeywell etc. CUSTOMERS OUTSIDE THE CONTINENTAL USA MUST CONTACT US FOR A FREIGHT QUOTE PRIOR TO MAKING A PURCHASE. CONTINENTAL USA SHIPPING PRICES DO NOT APPLY TO PUERTO RICO , ALASKA, GUAM, CANADA & INTERNATIONAL. The type of the product is DSC PTK5507W Touchscreen keypad, Made in China, product is manufactured by Vanco. Detection distance: 2-10mm / 0.08-0.39"
Can't compatible with UHF reader and encrypted readers, for example,HID, Indala, Cobra, APCiK ,Paradox,Radio,Honeywell,Kaba,Isonas,Infinias,etc. 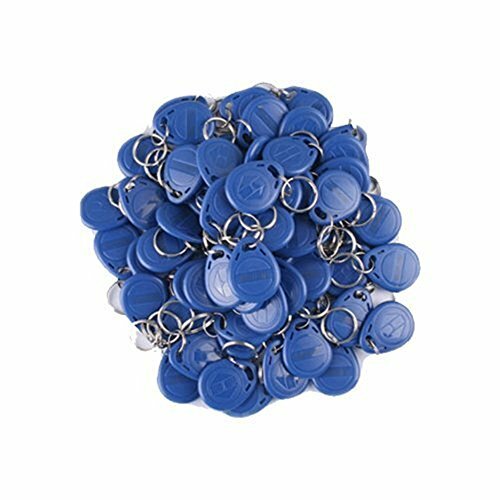 Save when you buy in bulk! Lifetime warranty! 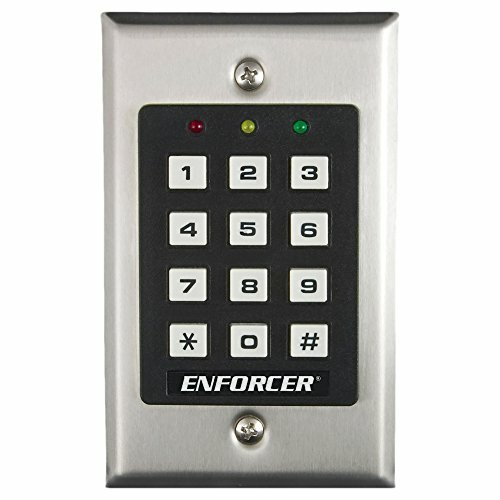 Experience the convenience and added security of our keypad door lock and order your TurboLock today! One Year Limited Hardware Warranty. 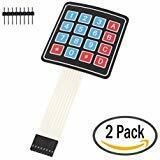 **Touchscreen Keypad with blue backlight:Touchscreen Keypad has good performance that it avoids the problems caused by unstuck physical buttons; The blue backlight enable you to enter passwords more convenient even in darkness. **Hidden keyhole for emergency: No need to call firemen. Remove the keypad handle with a wrench. Insert the mechanical key. Turn the key clockwise and the electronic door lock opens. **Anti-peep password: Users can create any random digits in front of or behind the correct password (random digits +correct digits+ random digits) so that you do not have to worry about being watched nearby when you input the password. 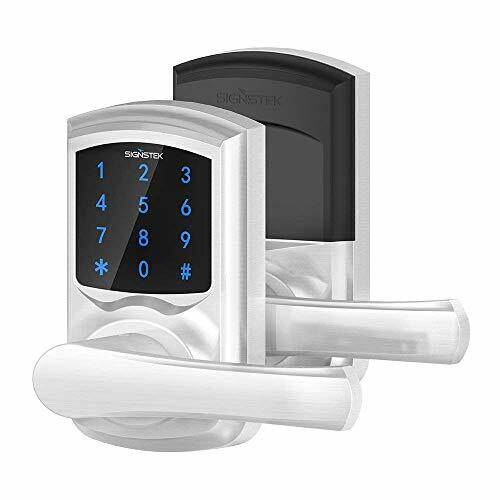 **Interchangeable door handle and Fashion appearance : Comes with the changeable door handle that the door lock can be used on left and right; The door lock is apply to be used in all kinds of the doors with upscale appearance. **Easy installation: Comes a hexagon screwdriver, just follow the user guide to finish the assembling even you are not a professional. This 16-button keypad provides a useful human interface component for micro-controller projects. 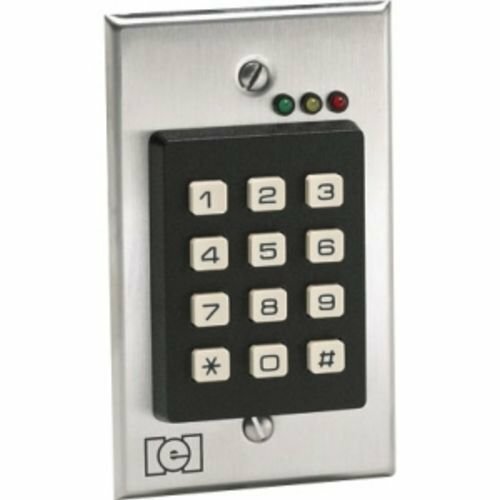 Convenient adhesive backing provides a simple way to mount the keypad in a variety of applications. 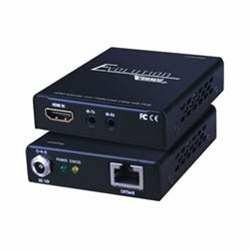 Note: It support and compatible with HID Proximity & universal unencrypted 125KHz RFID cards/tags only! Not work for other frequencies. 1. Switch on ,red power indicator on. 2. Put the original RFID ID card or key-fob in the reading area. 3. Press read button. read indicator with beep sounds. 4. Put the writable RFID card or key-fob in the reading area. 5. Press write button. write indicator with beep sounds. NOVEL DESIGN: 125KHz ID RFID card copier writer with handheld mini size design for easy operation. 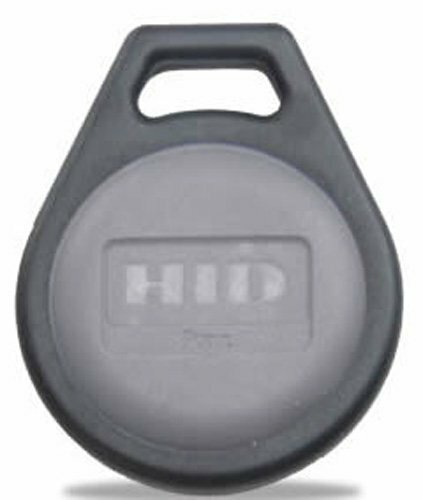 ADVANTAGES: Compatible with hid proximity card, RFID 125khz ID EM4100, T5577&T5577 card and keyfobs. UNIQUE KEY-FOB : 2pcs Cool and funny sticky keyfob attached besides keyfob and blank card. ENERGY EFFICIENT: 20000 times with 2 batteries, low power consumption and long life.